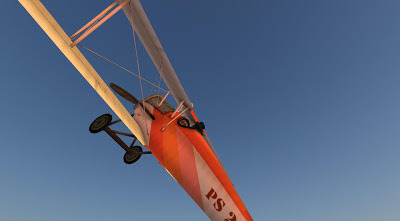 I want to both congratulate Linden Lab for the premium membership gift of a nicely rendered WWI biplane and ask "if I want to dogfight, can I cross sims now?" The answer is "maybe." 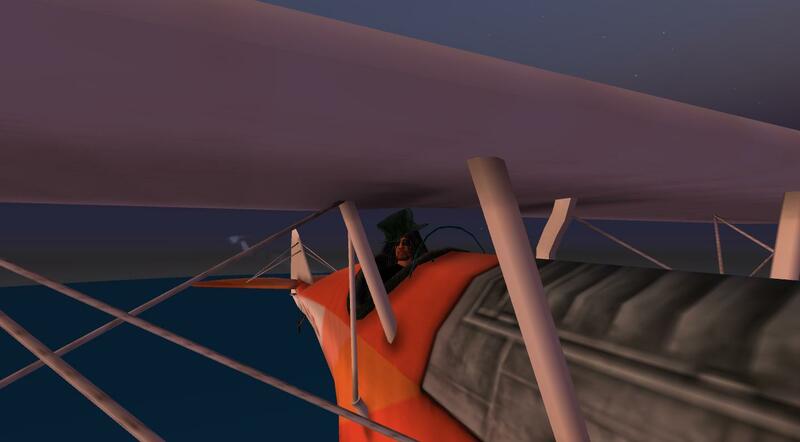 From where I rezzed the biplane, it flew nicely and to test my aviation skills, I did a few barrel rolls. Immelmans and loops can wait for next time. I crossed a couple of borders into protected land that is not full of user-generated content. I'd not want to try that on the mainland where I still have a small parcel. Is it even possible to fix that problem? UGC is what makes Second Life Second Life. It also bogs down sims with loads of poorly written scripts, overdone builds, and other lag-magnets. Drive or fly anywhere. That's the gift I'd really like from the Lab. 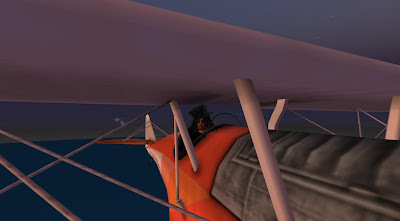 Aerial combat does not tend to run into invisible walls in the sky.